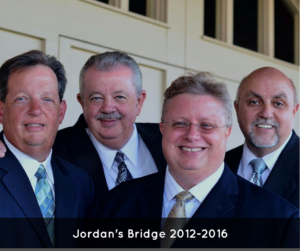 I began singing with my friends Phil Barker and Rick Sheets in their group Jordan’s Bridge in 2016. 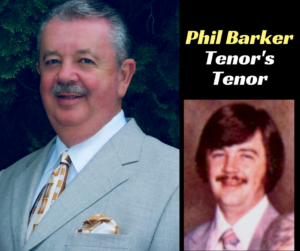 It was a dream-come-true for me, as Phil Barker has long been one of my singing heroes in gospel music. 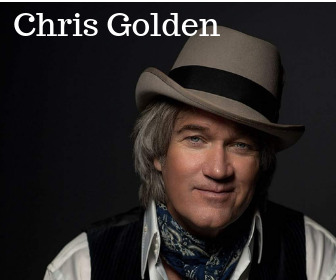 I had first seen him performing with Crimson River in Murphy, NC, in 1992, and never forgot his incredible ability at communicating a song, nor his sky-high tenor range. I officially met Phil in the most unusual manner in 2010 at the Saturday afternoon jam session the Grand Ole Gospel Reunion. At the jam session, many of the featured artists at GOGR will form scrap iron groups for impromptu singing. Phil, yours truly, and Chip Cooper decided to form a one-time-only trio to sing “More About Jesus”, and we recruited the incredibly talented Ellen Kennedy-Marsh to play piano for us. I advised Ellen the key in which I felt we could confidently perform the song. As we went into the second verse, I realized must have said the wrong key, for by the time my verse began, Ellen was playing in a key two full steps above what I thought I had requested! Needless to say, there were three blood-red faces by the final note, but nevertheless and if I do say so myself, we nailed it! In the time that I have spent professionally with Phil, I have found him to be more than just the “tenor’s tenor”, but a man with a deep heart for the gospel and a fierce, uncompromising integrity. 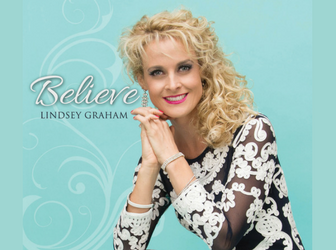 He has immense respect from his peers and a generation of tenors who have come behind him, and though he spent more than a decade away from gospel music, he was hardly forgotten. This month’s column serves as a tribute to an underrated legend, and a note of admiration to my friend. 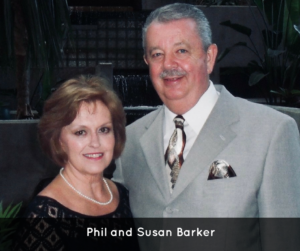 Phil Barker spent his youth in the middle-North Carolina area singing with his family. 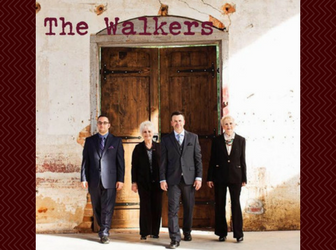 Phil’s first exposure to gospel music was at Reynolds Auditorium in Winston Salem, and a concert appearance by The Prophets Quartet. From the opening notes, Phil could not be still. He was handcuffed to gospel quartet music. 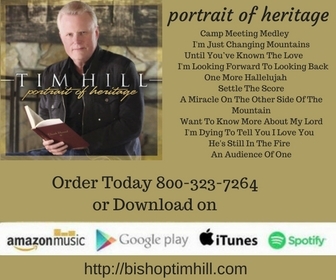 Phil never imagined that he would one day call the Prophets’ leader, Ed Hill, his singing partner, mentor, and close friend. Yet this would take place some two decades later with the Singing Americans. 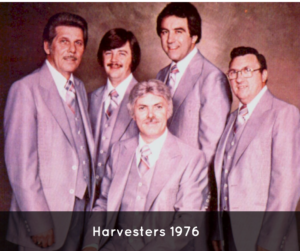 In 1976, after several years of the dual role of singing high tenor and playing piano, Earl Brewer relinquished his tenor part to 24-year-old Phil Barker so he could focus solely on accompanying the Harvesters. Phil, Earl, Bob Thacker, Bill Ferguson, and Richard Lee made some great music together during the latter part of the 70s. In 1979, Phil found himself enrolling in Ed O’Neal University. During these years, Phil held a full-time singing schedule, in addition to a full-time job at home. His first stint with the Dixie Melody Boys was brief, before the demand between the two occupations became too strenuous. However, Phil returned to the group two years later. 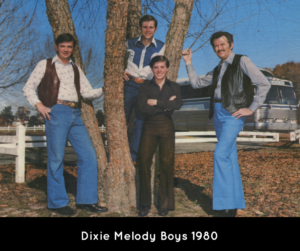 The early 80s were kind to the Dixie Melody Boys, as they scored their first number one hit, “Antioch Church House Choir”. 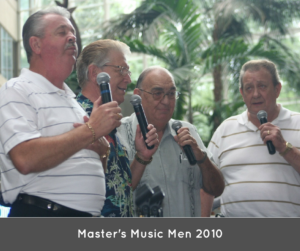 Phil, Kent Humphries, Frank Sutton, and Ed O’Neal took a backseat to no one when it came to singing straight-forward quartet music, yet the lure to forge new pathways in gospel music grew more enticing. Soon the Dixie Melody Boys re-branded themselves as The DMB Band, and they pioneered Christian Country. 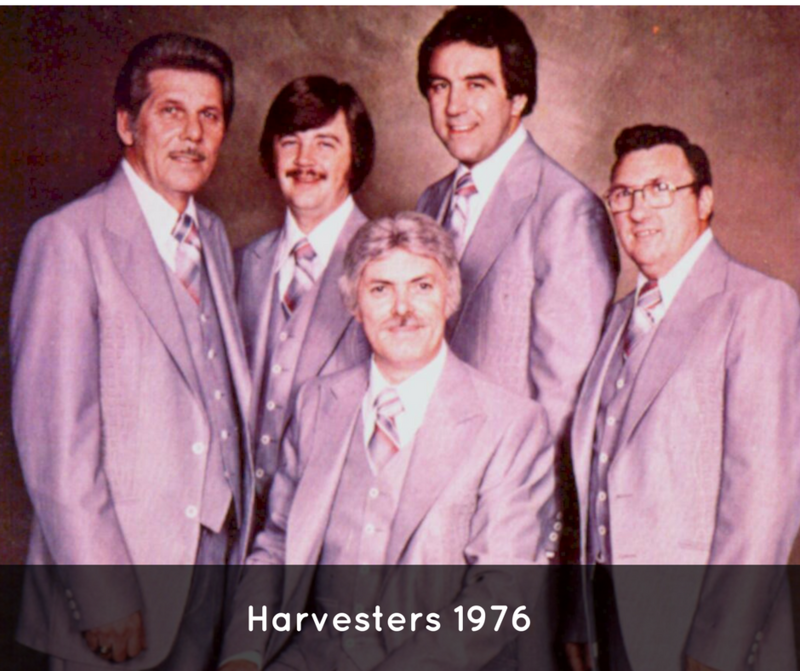 Phil returned to his first love, traditional quartet music, rejoining his old friends The Harvesters in 1984. 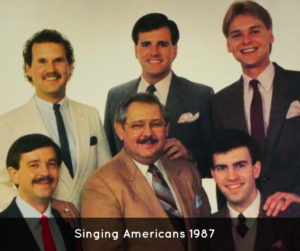 When Rick Strickland departed the Singing Americans in 1986, Phil accepted the tenor position just as the quartet was finishing their “Hearts of Majesty, Songs of Praise” album. 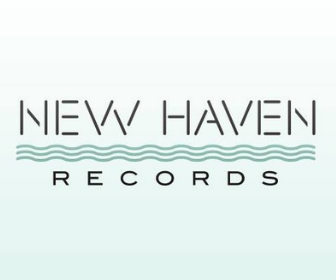 With a rushed record release at hand, there simply was not enough time to completely re-record all of the tenor vocals, so Phil simply recorded over the tenor solo features. 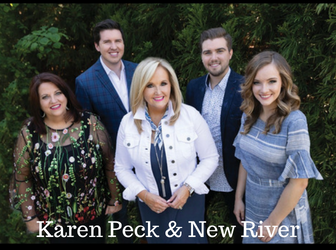 If you listen closely to their hit, “God is Greater”, you can quite audibly hear Strickland’s harmony vocals intact, with Phil jumping in on a high C singing “God is hiiiiggghhheeeerrrrr……” Phil was prominently featured on their next album, a Singing Americans classic, Homecoming Live. The lineup of Phil, Clayton Inman, Ed Hill, Dwayne Burke, James Rainey, and Mark Fain formed one of the strongest team units in gospel music. Although Ed Hill would eventually depart for the Masters V, the great music continued with the acquisition of Scott Whitener. Phil recorded what are perhaps his two signature classics while with the Americans, “The Bridegroom Cometh” and “The Writer”. The Singing Americans remained at the top of the gospel music world during the late 80s. 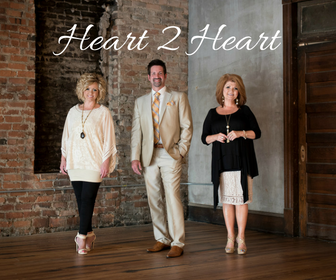 In 1988, Phil made an unusual transition, joining what at the time was a somewhat unknown quartet in the gospel music industry. 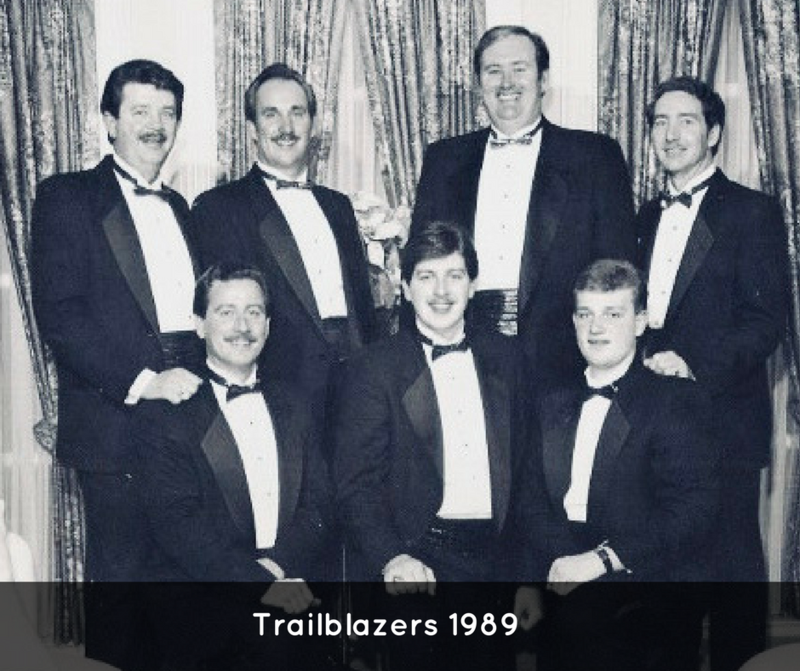 The Trailblazers, based out of the Church of God of the Union Assembly in Dalton, Georgia, quickly became a phenomenon in gospel music. 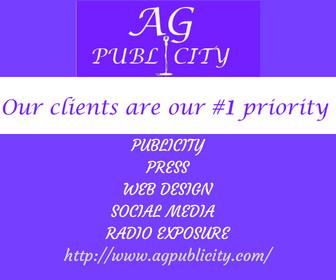 Phil, Jesse Pratt, Big Al Gentry, and Lemuel Faulknor never employed fancy harmonies or stage acrobatics, yet they were a tremendous team who quickly endeared themselves to audiences. 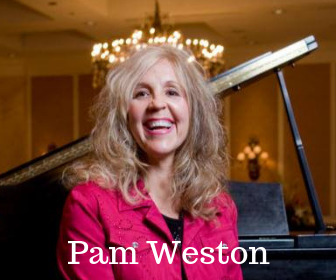 Frequently alongside the Trailblazers came multiple busloads of their “built-in fan base” from their Dalton church to each concert. The addition of The Trailblazers on any concert meant large ticket sales and packed houses, and with the addition of Phil at the tenor position, no one could deny their powerful stamp on gospel music. In 1989, with the re-opening of the Tivoli Theater in Chattanooga, Tennessee, the Trailblazers recorded their landmark album and video, Live at the Tivoli. 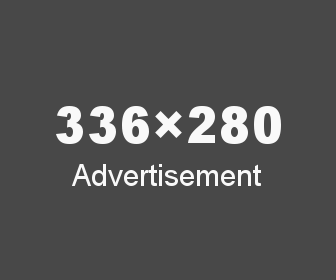 Popular country star Crystal Gayle had performed at the theater the night before to a large audience, but the following day the Trailblazers recorded Live at the Tivoli before a sold-out crowd. Decades following Barker’s departure from the group, the friendship between Phil, the Trailblazers, and the COGUA had only endured. 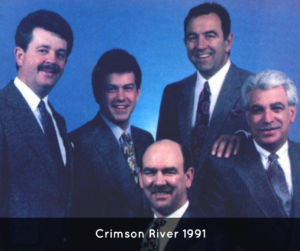 After traveling from his home in North Carolina, to meet the Trailblazers in Dalton for three years, Phil joined Bill Starling, Richard Lee, and Steve Lee in forming the outstanding North Carolina-based quartet Crimson River in 1991. The quartet remained active for five years. 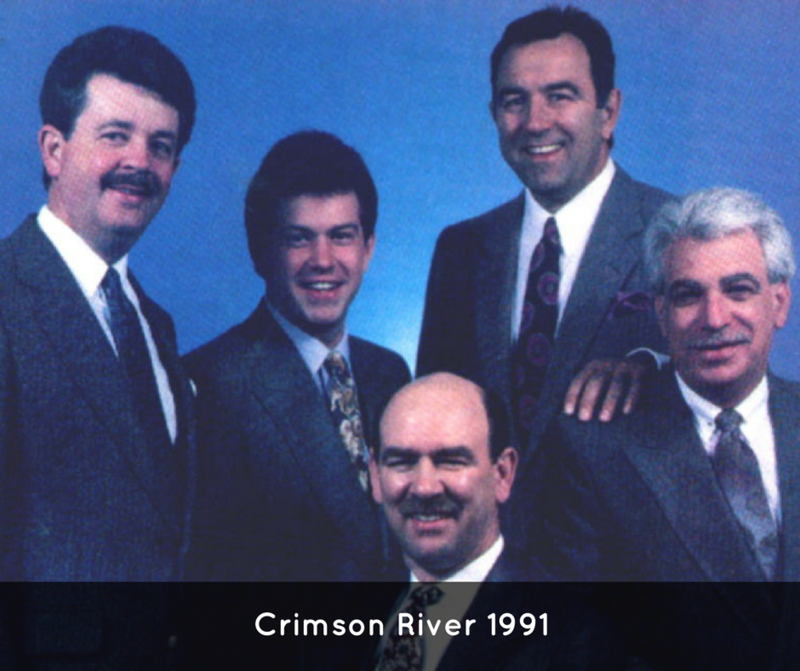 While taking a backseat to no one in performance, many in gospel music know of the financial struggles involved with keeping a group on the road, and Crimson River folded in 1996. 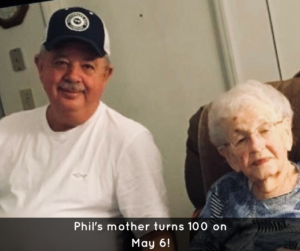 Out of gospel music for the next fourteen years, Phil worked at James River Equipment in North Wilkesboro, North Carolina, selling tractors and farm equipment, giving some solo concerts on occasion. A few trips and concerts in the Wilkes County area with Jordan’s Bridge quickly demonstrated to me the reputation that Phil has earned in his community. Upon his retirement this past February, his employers, peers, and customers praised his loyalty, work ethic, and desire to place his customers’ needs ahead of sales agendas. 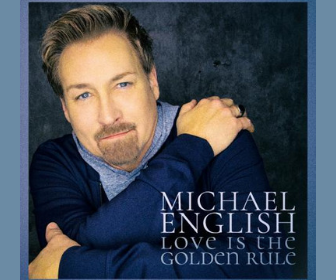 The “singing itch” never quite goes away, and in late 2010, Phil re-emerged in gospel music singing with old comrade Charlie Burke and The Masters Music Men. The quartet consisted of old pros Phil, Charlie Burke, Buddy Burton, Kirk Henry, Harold Gilley, and Charles Abee. 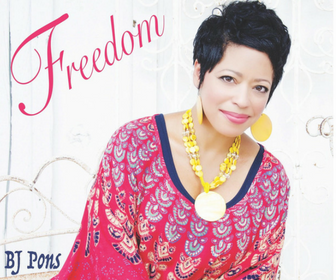 The quartet’s time in gospel music was brief, as Burke passed away a little over a year later, but not before recording an excellent classic-style album, Home Sweet Home. 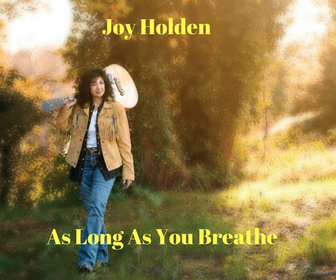 The album took listeners back to the basics…soaring vocals, simple accompaniment, and a powerful group sound. Upon the passing of Charlie Burke, Phil returned to his solo ministry, in addition to filling in with the Dove Brothers for several months. This time he would not be without a group for very long. Pianist Joe Lane had always wanted to perform in a group with Phil Barker. In 2012, Lane contacted his friend and Jordan’s Bridge was born. Jordan’s Bridge continued much of the same musical mission of the Master’s Music Men. Phil, Joe, Rick Sheets, and Kirk Henry captured gospel fans’ attention quickly, performing on some of southern gospel’s largest stages within the group’s first year of existence. 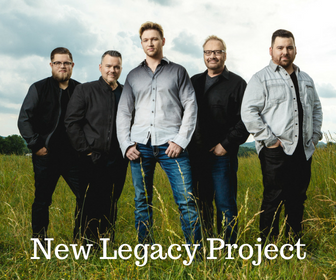 This lineup remained together for four years until Lane and Henry left for other ministry opportunities in 2016. 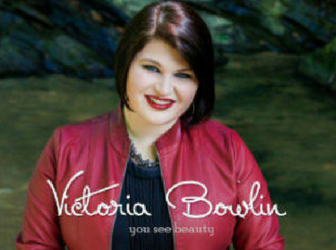 Yours truly took over as lead singer, and this past November, popular bass singer Burman Porter joined our group, transitioning us all back to our first passion, gospel quartet music. Phil Barker is now 65 years young, and although he has retired from the business world, his desire to share the gospel in song has never been stronger. I personally know this for a fact, as on the day of Phil’s retirement, he immediately went home and booked a long string of appearances for Jordan’s Bridge that very evening. His tenor range still outstretches that of many tenors half his age, now with a resonance that has only grown broader and better with age. If Phil is not on the stage or on the bus, one will likely find him strolling hand-in-hand with his loving wife Susan. 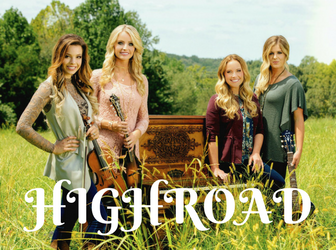 Phil and Jordan’s Bridge would love to come sing for you, your church, or your special event. 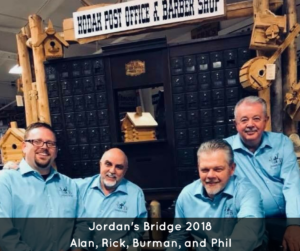 Please visit them at www.jordansbridge.com. 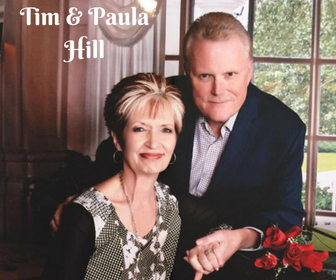 Phil’s hit from the eighties, “The Bridegroom Cometh”, has been re-recorded and is our current radio single from our album Redemption. 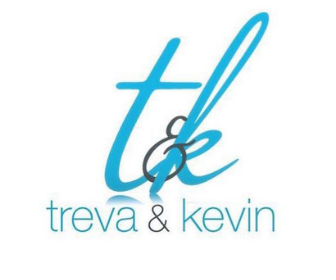 I also appreciate your kind words and compliments in regard to this column. 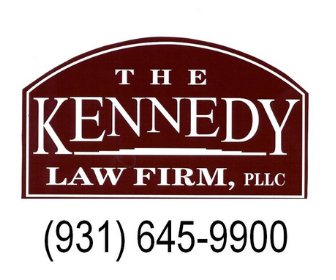 You can reach me at akendall83@aim.com, or at my website at www.alankendallmusic.com.